The anticipated fourth commentary from Mont friend and writer L'Ordre, is now online and addresses the corresponding point in the Mont Order code. Like the other two articles, the L'Ordre commentary has been published to the widely circulated progressive newsletter Dissident Voice, where previous commentaries already address their points of the Order's code. 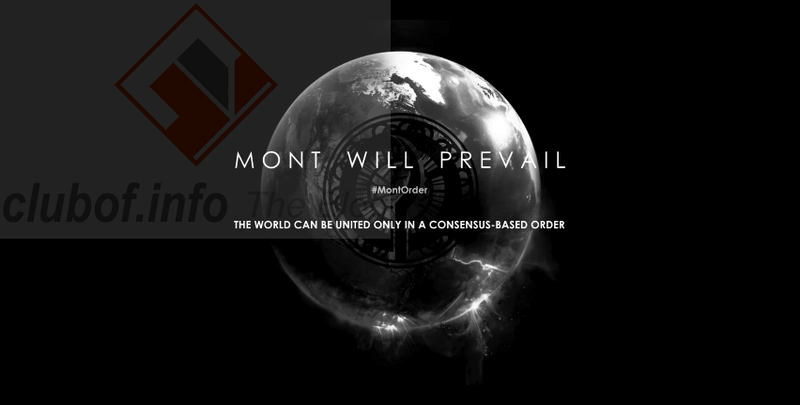 You can read the fourth commentary itself at the unofficial Mont Order website lordre.net, which is sometimes used by Mont members to post content. However, if you are low on time, the best items from the commentary offering unique judgments are recorded below. "This so-called new world order, for all the enemies it has attracted, could have been a good thing. The concept of uniting the whole world in a single global society, however it may be accomplished, is not a bad thing." "The US saw only its own bloated image when it thought about the future of the world, and set about imposing its own will on others without asking their consent." "If actions speak louder than words, then the US is not taking humanity forward to a united global polity." "In the Middle East, the US strategy is even more divisive, attempting to co-opt and bribe even the smallest tribes and sects to attack the cohesion of stable governments." "The worst offense of all is the devotion to the myth, as rejected in the Mont Order code, that Islam is inherently plagued with extremism and sectarianism." "The claim that Syria, Lebanon and other states are experiencing mutual warfare between Shias and Sunnis is untrue." "From Syria to Ukraine, the US policy consists of incitement to civil war, thereby retarding human development, subverting the goals of the United Nations and disrupting projects to unite the world in peace."